==> Scroll Down to Sign Up! “Over the past several weeks I have applied your single line regression method for determining the sq.ft adjustment and found it incredibly useful. I have felt more confident in my comments about justification for the amounts as well as my comments about site value and the location adjustments.” – Rene D.
“The Adjustments webinar was fantastic! I would LOVE to review it again.” – Jack L.
“Really enjoyed it. Looking forward to Part 2. Thank you for offering it.” – Camile P.
You can still enjoy this valuable two-part Webinar! Will support for your adjustments hold up under scrutiny? How do you determine the right adjustment? Is it based on what you were told when you were learning the appraisal business, someone else’s opinion or…are you clear about how to apply the correct methods (according to Fannie Mae) in your appraisal practice? Regulations state that appraisal adjustments cannot be based upon an appraiser’s opinion. Failure to provide proof and analysis to support your adjustments mean a rough road from now on out: state board complaints, license revocation, panel removal, lawsuits, and now Fannie Mae cites “use of adjustments that do not reflect market reaction” as number one on a list of 16 reasons why an appraiser can be placed on its “Do Not Use” List. This list is a fast ticket to a career change. 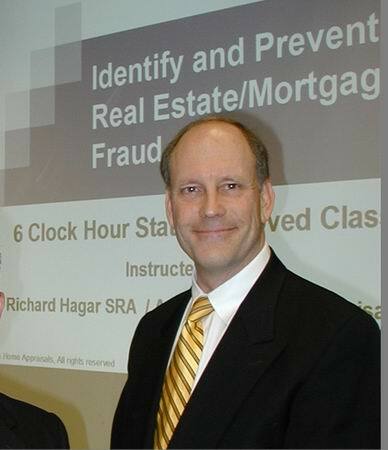 The abbreviated hour-long webinar presented by Richard Hagar, SRA in 2014 was so popular with appraisers that Working RE is now offering the complete 4-hour class where Hagar takes you in depth, step-by-step through examples and shows you how to provide the proper support, analysis and documentation for adjustments in your appraisal report and workfile. These recorded webinars will help you utilize quick and simple methods for proving adjustments that improve the quality of your reports and help you avoid problems, blacklisting and legal actions. *These webinars will be recorded. This allows you to review the course later at you own convenience, in its entirety, if you have a scheduling conflict and can’t make the live version or if you want to view it again. **Disclaimer: Webinar is not approved for CE. **If you attended the hour-long Adjustments webinar in August 2014, you save $30 (nearly HALF OFF) when attending this 4-hour series. Email isaac@orep.org for your Discount Code.